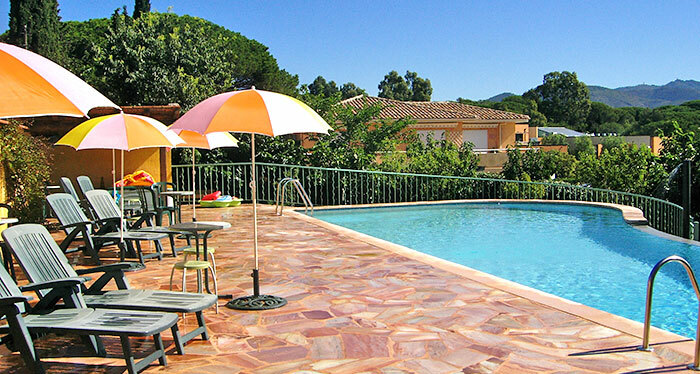 Mas Aurélia - Guest houses, Flats with swimming-pool for your holidays in Fréjus, Var 83 on the French Riviera. 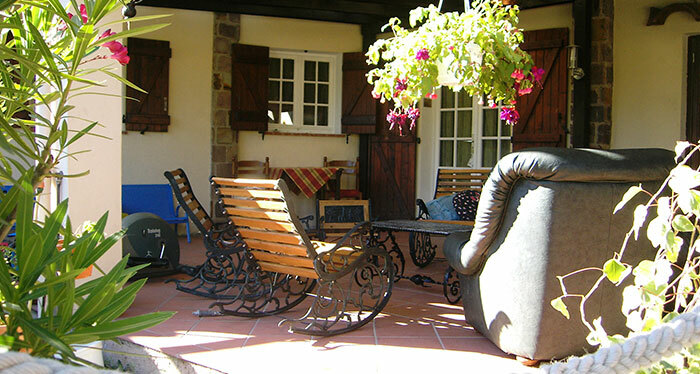 A warm welcome for a quiet stay in the Var, either in a guest house or flat. 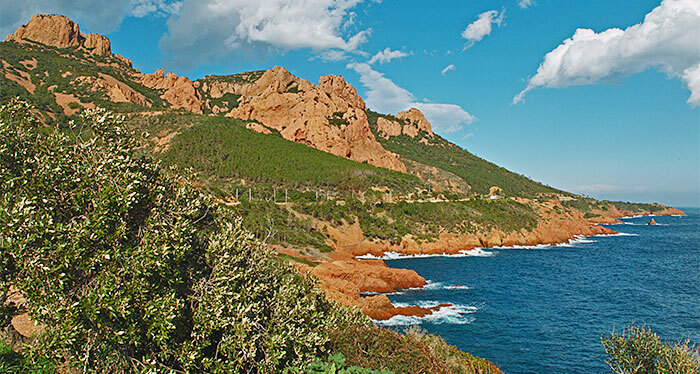 Ideally located in Provence on the French Riviera, in Fréjus where the sun takes up residence, between Cannes and Saint Tropez, the Mas Aurélia is 5kms from the Estérel massif, the beaches of Fréjus - Saint Raphaël and the Valescure’s golf. 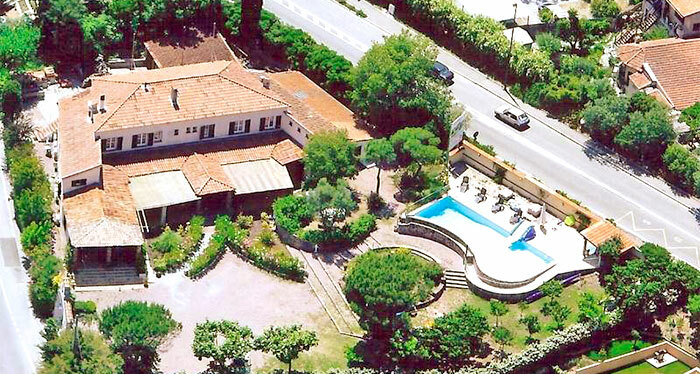 Its planted garden, parking, heated overflowing swimming-pool (14x6) and its 100sqm beach will allow you to spend an unforgettable stay on the French Riviera. Located in a residential area close to trades, accessible on foot, the Mas Aurélia whose services are worthy of a hotel knows how to make you appreciate the pleasures of the French Riviera. 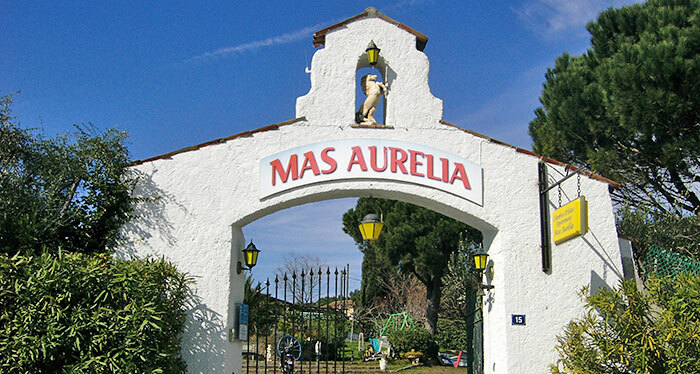 Either for a stopover or a stay in the Var, the Mas Aurélia offers holidays rental: comfortable guest houses from 18 to 25 sqm or fully-equipped flats from 30 to 45 sqm. Each Flat or Guest House has an independent access, air-conditioning, television, fridge, bathroom and Wifi-Lan access. Breakfast self-service from 8 to 10 a.m. on the terrace overlooking the garden or in your bedrooms off season. For the flats, breakfast is possible for an extra 9€ per person. Residents have free access to the summer kitchen, relaxing area, playground and swimming pool. 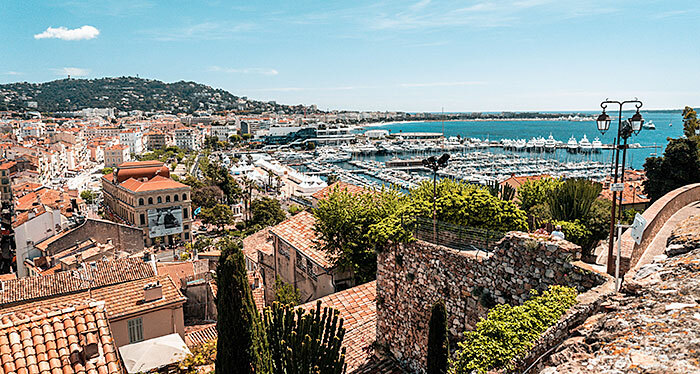 Our services worthy of a hotel allow you to peacefully visit the Provence, the French Riviera, from the Rock of Monte-Carlo to the Saint Tropez beaches, without forgetting the typical villages of the green provence or the famous Grand Canyon of the Verdon and the Lake of Sainte Croix.